Reactor 40 for Viking VIPER steering systems brings our leading-edge marine autopilot technology to Viking yachts. 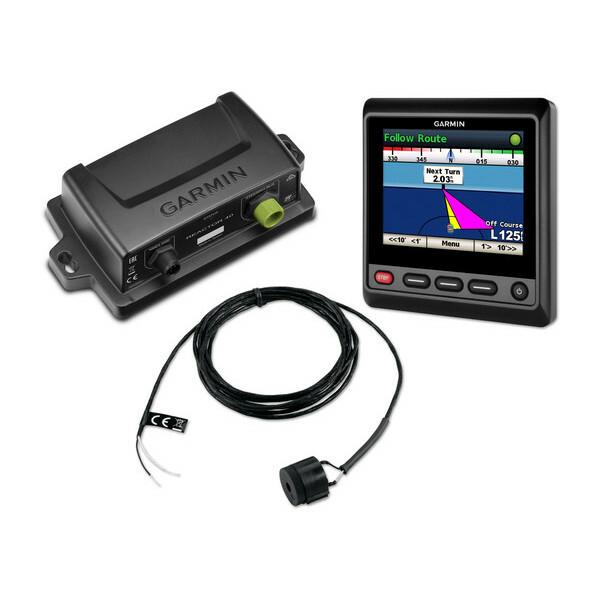 With a complete package designed for powerboats and sailboats, Garmin brings an advanced marine technology to the boating public that was once only available for commercial boats. The Reactor 40 autopilot series is simply the most responsive autopilot system we have ever offered. Reactor 40 autopilots are very versatile. Both powerboat and sailing features are available in all corepacks, including heading hold, wind hold, tack/jibe, step turns and more. With its advanced solid-state 9-axis AHRS, you can mount Reactor 40 nearly anywhere, in any orientation. In addition, this new system greatly minimizes heading error, course deviation, rudder movement and power consumption while providing a comfortable ride for all on board. This amazing autopilot actually reacts to the sea to hold your course. Even when the boat is pitching and rolling, you can remain confident that the Reactor 40 autopilot will keep you on your desired course. Combined with a compatible Garmin networked chartplotter, you can have full control of Reactor 40 from wherever you are on the boat. In addition to holding its course in virtually all weather and wind conditions, the system can smoothly perform a variety of preprogrammed trolling and search procedures. Plus, with a compatible Garmin networked chartplotter and BlueChart g2 Vision charts (sold separately), you gain optional features such as Auto Guidance¹, which automatically steers GPS paths. The Reactor 40 autopilot is operated using up to 3 GHC helm control units. GHC communicates with the autopilot system via your NMEA 2000 network, so autopilot heading data can be shared easily with other devices. This enables MARPA and chart overlay when connected to a Garmin chartplotter. An optional handheld wireless remote control is also available; however, for the highest level of convenience, control GHC using a compatible quatix 3 or quatix 5 marine multisport smartwatch.